No not my front garden but could have done with a slightly bigger machine. It's a Greens Silens Messor from about 1875 and still works as well as it did when new ! 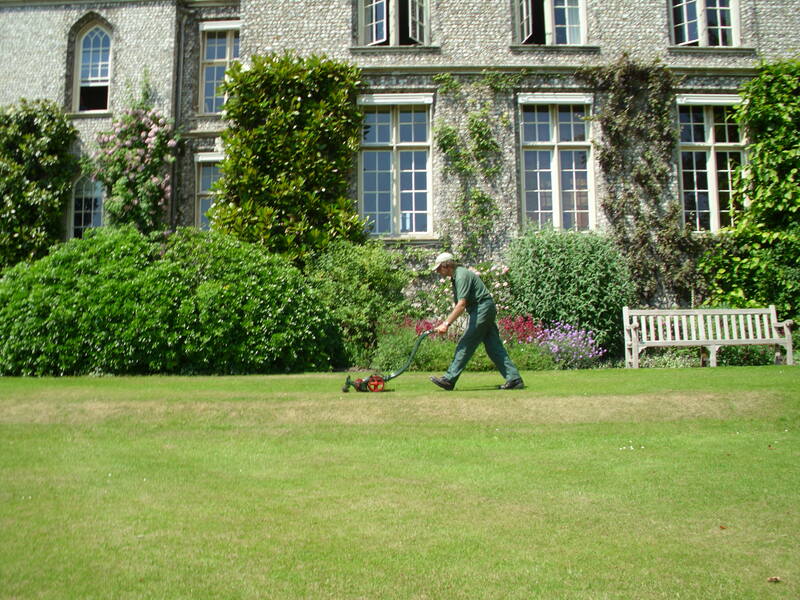 Taken June 2010 at West Dean House, West Sussex. The adjoining Gardens which are run separately are worked on traditional Victorian lines and contain a stunning walled garden with award-winning restored glasshouses and associated outbuildings. A couple of these just happen to house a display of antique and vintage lawnmowers.